Contract: To supply four 150 kW and two 115 kW refrigerated process cooling chillers, complete with chilled water pump, process water pump, heat exchanger, buffer tank and an electrical/control panel. 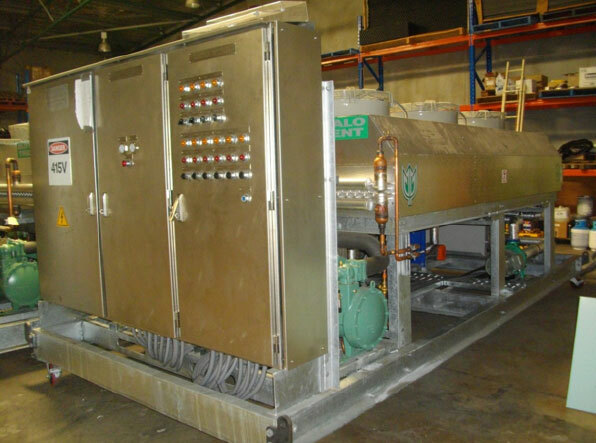 To supply refrigerated systems tp produce process cooling water to serve six crushers. © 2019 Thermal Engineering. All Rights Reserved.